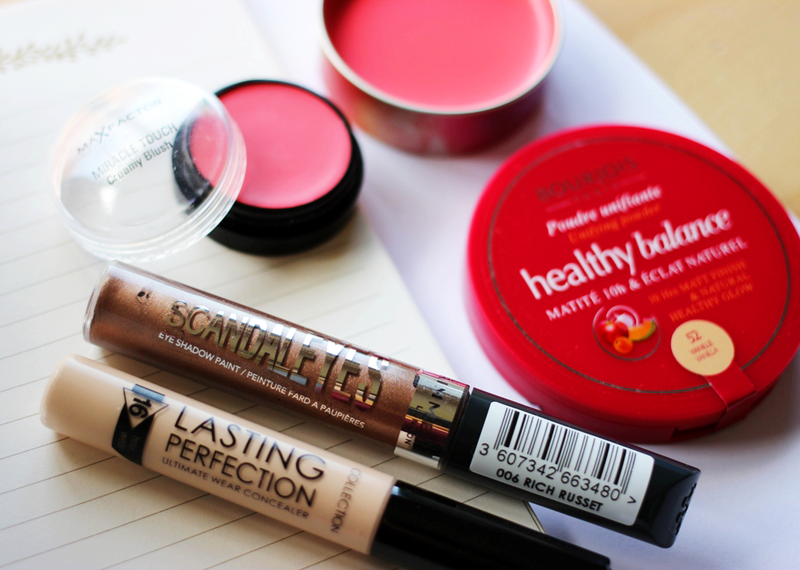 I apologise if these photos aren't up to the usual standard (whatever that means, because I don't really have standards for anything) because my home is under renovation + I HAVE FORGOTTEN HOW TO TAKE PHOTOS OF MAKEUP. You UK-ers are BLESSED with this thing called 3FOR2 SALE, LIKE REALLY??? 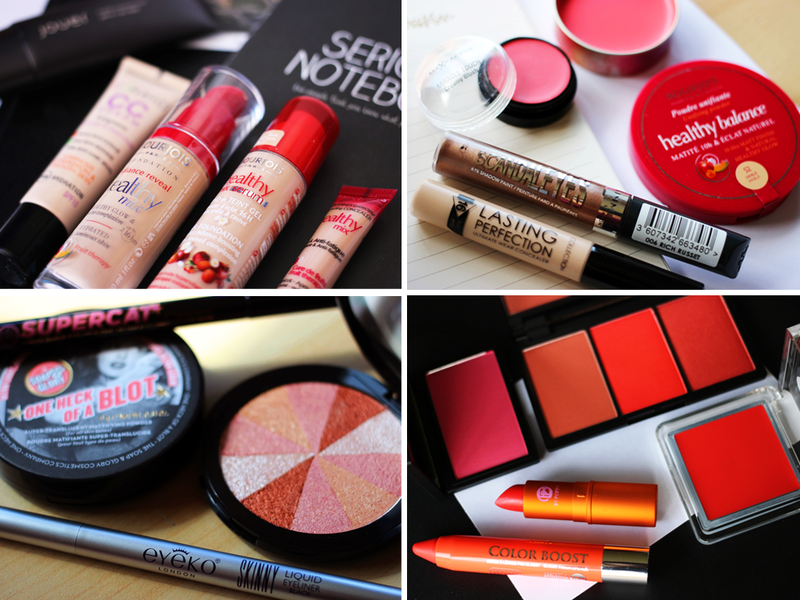 I obviously ended up with too many things because of that offer, as I took home 6 Bourjois and 3 Soap & Glory products. 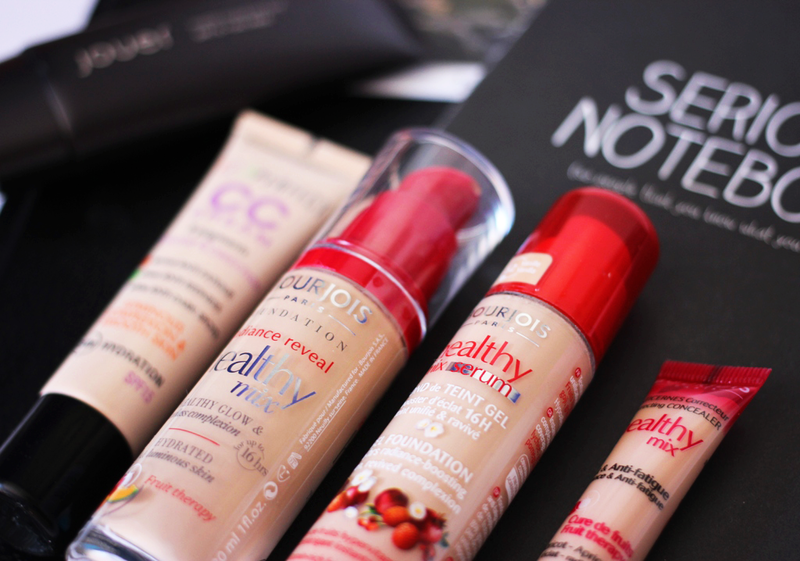 I picked up Bourjois' CC Cream, Healthy Mix foundation, Heathy Mix serum, Healthy Mix concealer, Healthy Balance powder, and Colour Boost Crayon in 'Orange Punch'. Did I just buy out the entire 'healthy mix' line? Probably. I almost cried when I found my first Soap & Glory makeup stand. ALLLL THE RETRO PACKAGING!!! I definitely needed a setting powder because my skin was insanely oily while I was in London, so I picked up One Heck of a Blot based on Jaye's recommendation. 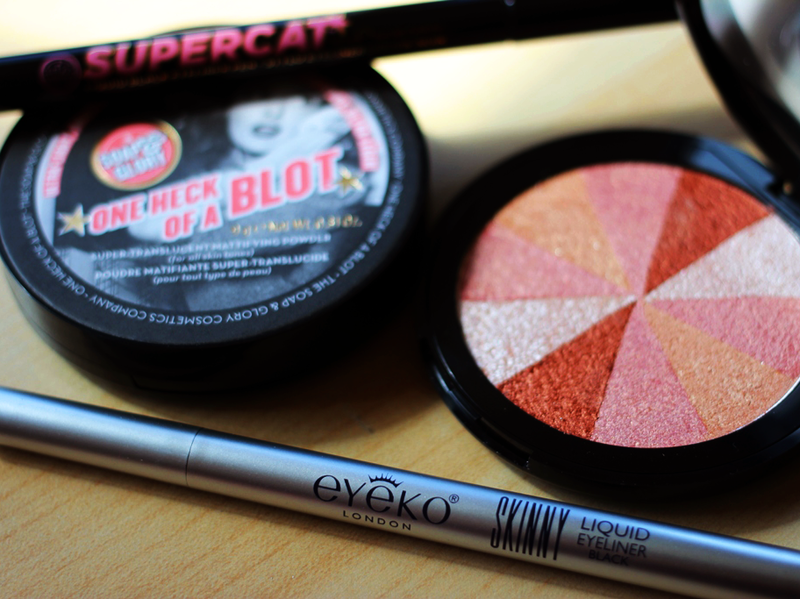 Also managed to snag up the Supercat liquid eyeliner because of Jaye (damn this girl is influential), and Peach Party, a shimmery multicoloured blush brick. 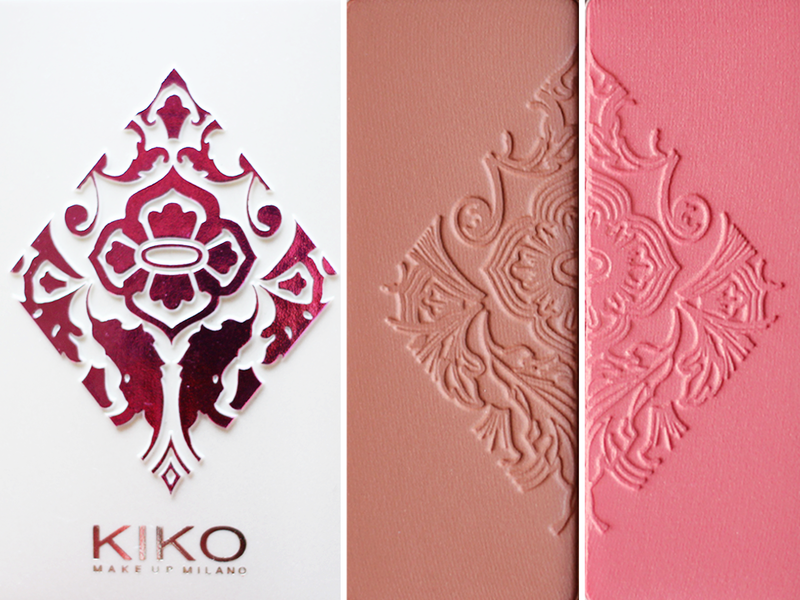 From Kiko, I picked up THE MOST BEAUTIFUL BLUSH DUO EVER—Top Pairs blush in 'Desert Sand and Rose Coral' and CAN WE JUST TAKE A MOMENT TO ADMIRE THE EMBOSSING. 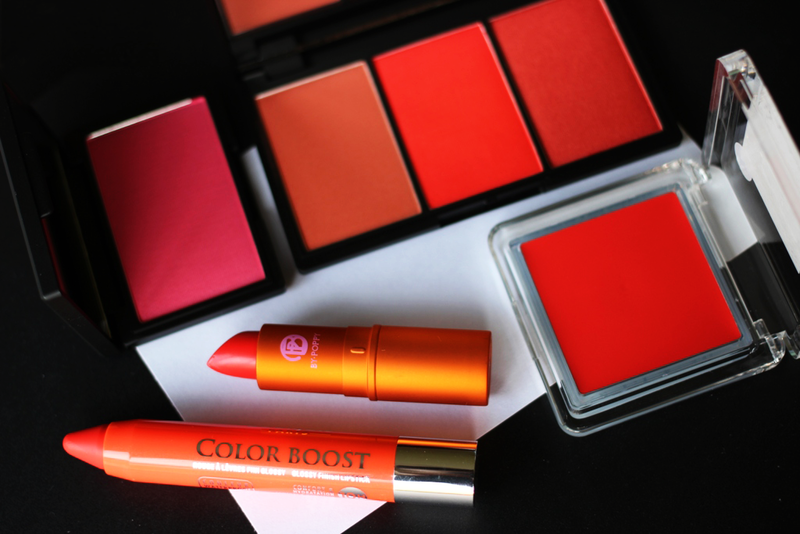 From the sale bins, I picked up one of their Glow Touch cream blushes ('Wave Hibiscus') at £4, so not too shabs. In Scotland, I met up with Yige, and SHE ACTUALLY TOOK ME TO POUNDLAND. Here's a funny story—since I was staying with a relative in London, I could buy things online and have them shipped to an address. My friend ordered an Eyeko Skinny Liquid Eyeliner and had it shipped to my place in London because they offered free UK shipping...AND THEY ACCIDENTALLY SENT TWO INSTEAD OF ONE. DON'T YOU LOVE IT WHEN COMPANIES MESS UP? We both agreed that we'd each keep one, BUT STILL, YAY FOR FREE STUFF. Man, I didn't think I had bought that many things until I wrote out this massive post. Plus, after this haul, my makeup drawer refused to close properly, so I had to move everything into an even larger drawer....DAMNIT. P.S. Since it's my birthday week, I'll be posting daily until the end of the week!